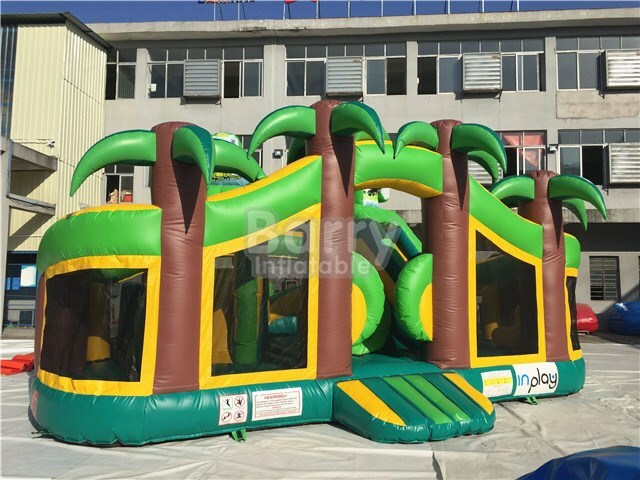 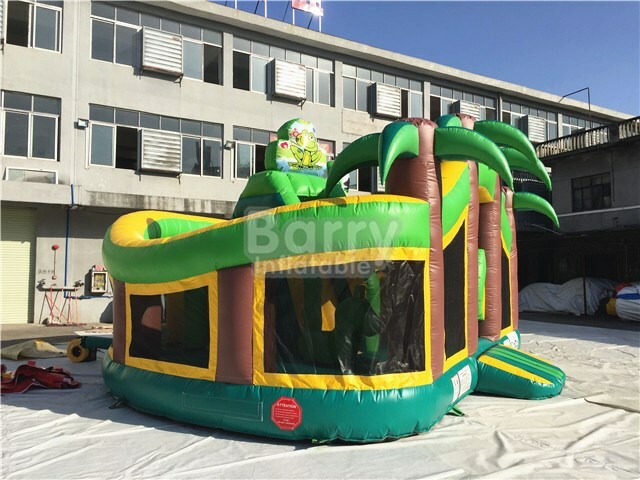 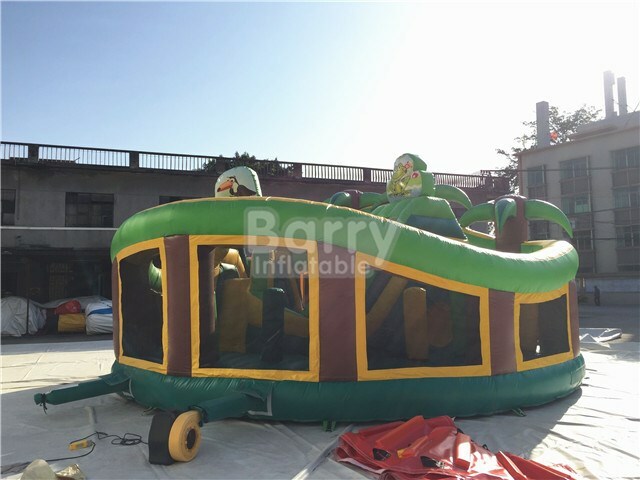 Products - Inflatable Playground - China Jungle Inflatable Theme Park,Kids Inflatable Playground For Sale IP-087 - Guangzhou Barry Industrial Co., Ltd. 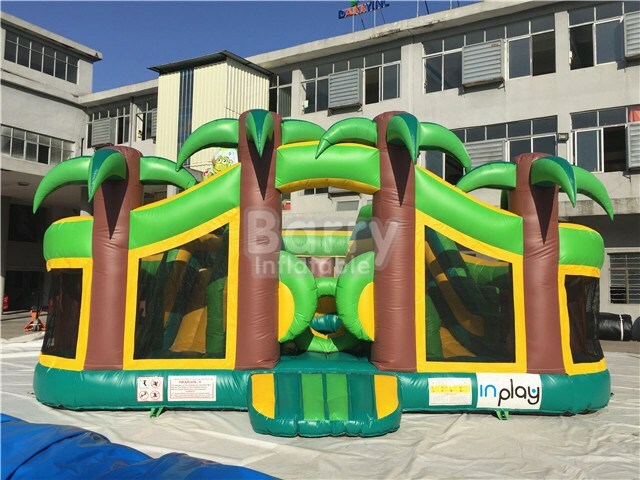 This jungle animals theme playground is designed into a square zoo for kids, giant climbing and slide in the corner, big animals and trees obstacles around the bouncing area, with animals printing everywhere, this inflatable playground is much enjoyable for children. 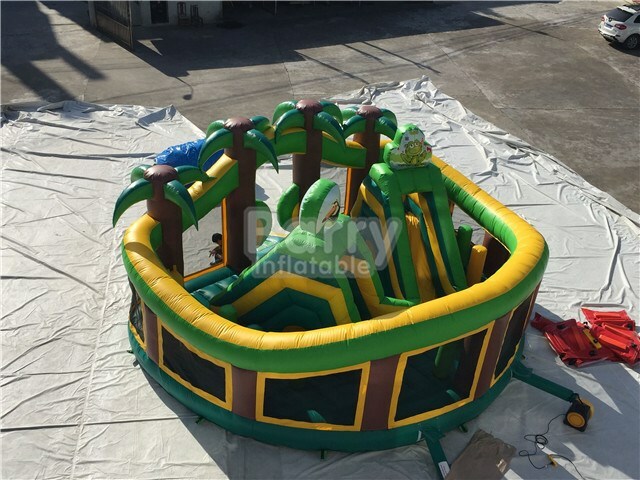 Made of top quality PVC tarpaulin and strong netting walls, sun shade roof can be customized, more safe amusement park for you.